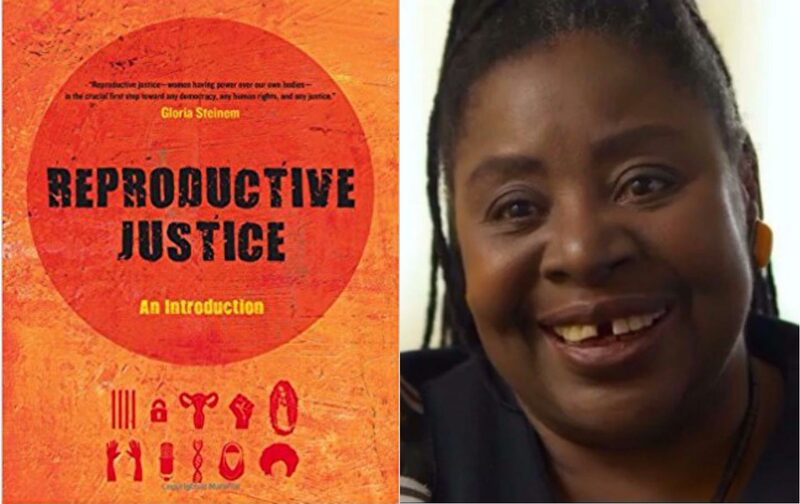 Loretta Ross is one of the mothers of the reproductive-justice movement. Now she and historian Rickie Solinger have a new book out seeking to introduce the concept to new audiences. In 1994, a dozen black women at a pro-choice conference in Chicago came up with the concept of reproductive justice. The activist Loretta J. Ross was among them. Near the beginning of Reproductive Justice: An Introduction, her new book, co-authored with the historian Rickie Solinger and published by University of California Press, Ross puts the reader in the room with the founding mothers of the reproductive-justice movement and explains how they moved from a critique of the Clinton administration’s health-care proposal (silent on the topic of reproductive health, they argued) to the articulation of a new intellectual framework. “We placed ourselves in the center of our analysis and made the case that while abortion was a crucial resource for us, we also needed health care, education, jobs, day care, and the right to motherhood,” Ross writes. She and Solinger spend the rest of the book unpacking this claim and explaining how race, class, ethnicity, sexuality, gender expression, immigration status, and other aspects of identity shape a person’s ability to be healthy and have the family she desires. It makes for an inspiring read that calls for upending assumptions at the heart of more traditional mainstream reproductive-rights organizing. But visionary demands—particularly the right to parent children in safe and healthy environments—can feel like a pipe dream in today’s reactionary political climate. The Trump administration is openly hostile toward abortion rights and contraception access, and the response to police killings of black children such as 12-year-old Tamir Rice in Cleveland and 15-year-old Jordan Edwards in Dallas prove that too many Americans treat black parents’ worst nightmare as a private ordeal rather than a structural problem in need of a solution. I asked Ross whether the reproductive-justice framework loses some of its power during political dark ages when activists must focus on preserving victories rather than playing offense. “At times like these, it’s always been times like these,” she said, crediting the phrase to Alabama-based abortion provider Dr. Willie Parker. This country’s laws privilege the well-resourced individual seeking protection from an overreaching government, the book argues, so women in the margins have been left unprotected even when the reproductive-rights movement has claimed a win. Achieving this privacy right—having what amounted to the “negative right” to be left alone—was not likely to help women without those resources. If you didn’t have a private doctor, if you were poor, if you were African American, Mexican American, or Puerto Rican and the target of various forms of racism including population-control measures, then reproductive rights required much more clearly defined guarantees or “positive rights,” beginning with a safe and healthy place to live with your family in a community free of the impacts of chronic racism, a living-wage job, and access to comprehensive public health services, including, if you chose, contraception. The book opens with a history that details population-control policies. “American history needs to be told through a reproductive-justice lens,” Ross told me, and she and Solinger do exactly that. They explain the 17th-century Virginia Colony law that ensured the growth of a slave population by declaring that a child would be free or enslaved based on the status of the mother, not the father, as had been the norm. They outline the laws that kept nonwhite immigrant women from coming to the United States alongside their male counterparts recruited to work on the railroads and in the fields. And they document the pressure placed on white women to birth “all the white children necessary for populating the white nation.” The authors paint a more complex picture of the country some imagine when they talk about making America great again. This history will be new and useful reading to some people long connected to reproductive-rights struggles, but Ross said she and Solinger wrote Reproductive Justice primarily as a teaching tool for high-school and college students. “So much of feminist theory is presented in such abstract language you can’t even begin to understand it even if you’ve got a PhD in women studies,” she said. “I took pains to make sure we could talk about complex concepts but in a way that someone with good reading skills could understand.” They also let reproductive-justice movement leaders speak for themselves. The epilogue is made up of contributions from the leaders of organizations, including New Voices for Reproductive Justice, Colorado Organization for Latina Opportunity and Reproductive Rights (COLOR), and Native Youth Sexual Health Network. These reports from the front lines offer a look inside campaigns to defeat a state’s personhood initiative, expand access to an HIV prevention drug, and win Medicaid coverage for birthing women who want the support of a doula. These campaigns show what reproductive justice looks like in practice.